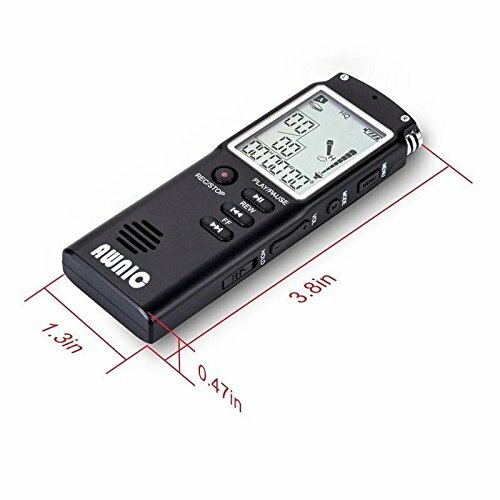 AWNIC RECORDER: Not only a voice recorder but also a MP3 Player,USB Flash driver. It can be recorded as MP3 and WAV format file. 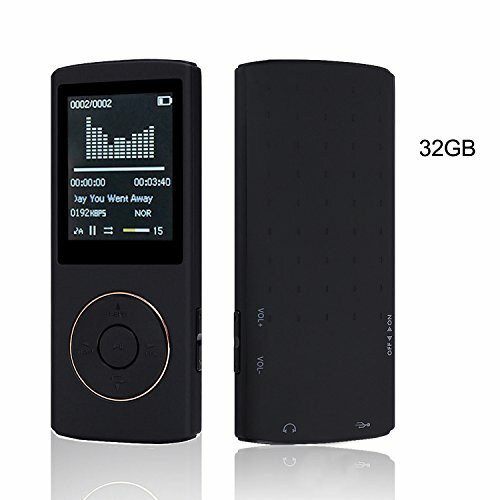 HD Recording: 360-degree surround, dual-microphone stereo recording, comprehensive collection sources. INTELLIGENT: Superior noise reduction technology, high recognition VOS (VOR).Rational memory use. 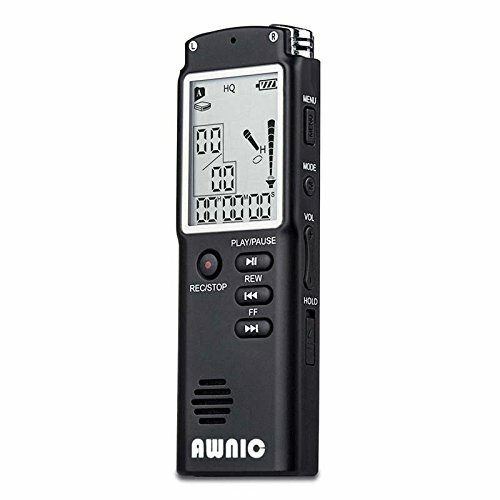 Awnic portable voice recorder can be taken anywhere to record audio from meetings, conversations, phone calls, class and other situations whenever you need it. 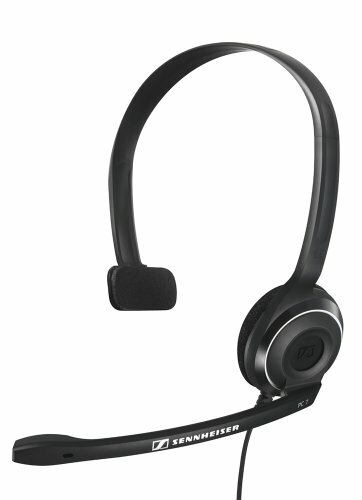 360-degree surround, dual-microphone stereo recording, comprehensive collection sources. 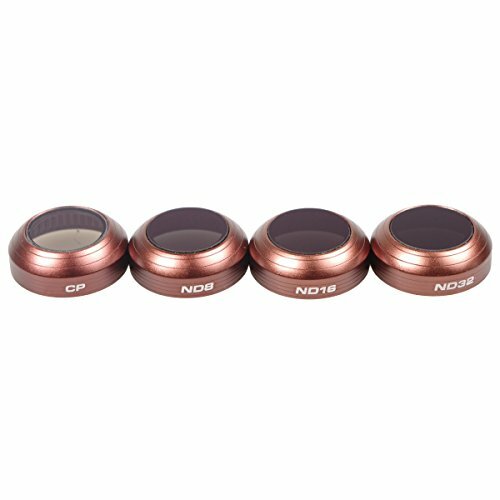 Superior noise reduction technology, high recognition VOS (VOR). A key lock screen, Don’t worry about what key is pressed by mistake, a key lock screen feature allows you to continue recording when you put the recorder in your pocket. When you set the time and date of the system is good, detailed information recording file displays the current time and date. 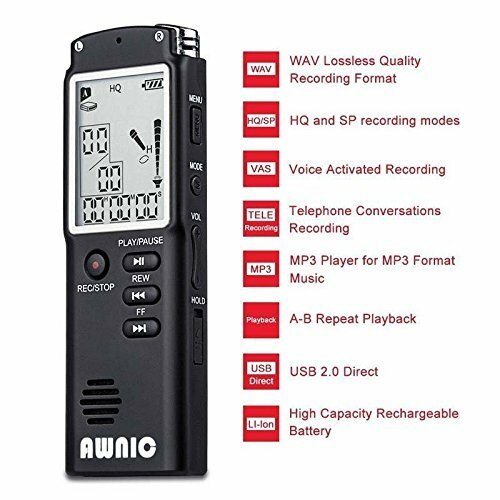 Recording for telephone,Awnic digital voice recorder also can record telephone conversation, please connect the voice recorder with telephone via telephone adapter. Auto save recording,Please press REC button to record the voice, and it will automatically save the recording when you press STOP button. 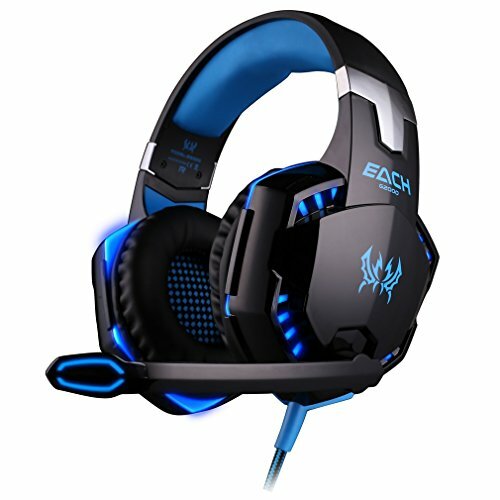 External input: Stereo earphone,Microphone,3.5mm stereo Socket. 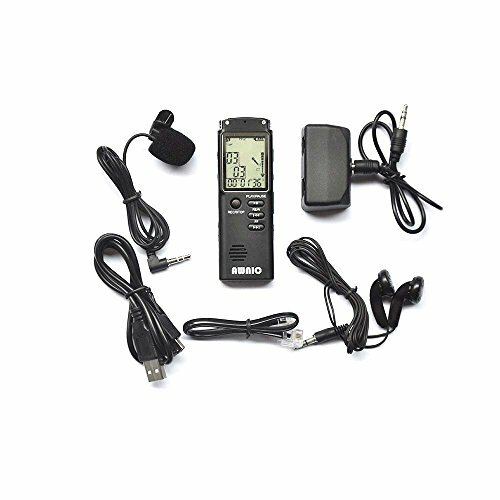 Recording Source:Built-in MIC, External Microphone, 3.5mm Socket. MINI 5 Pin USB cable: PC interface USB 1.1/USB2.0. 1. Please check the switch is ON to charge, when charging it. 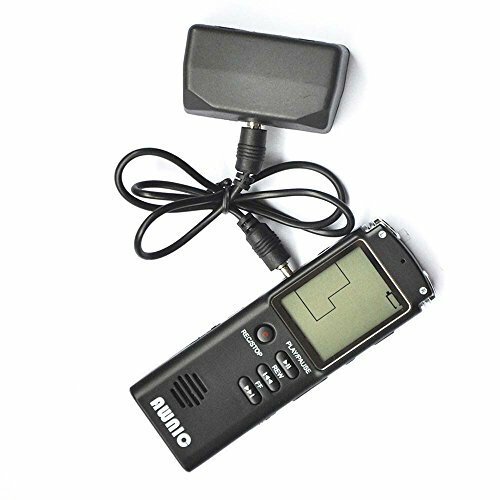 2.If you can not record, please test the memory. If it is full, Please delete or transfer some content to have spaces for recording. Besides, if the energy is low, it will not able to record. 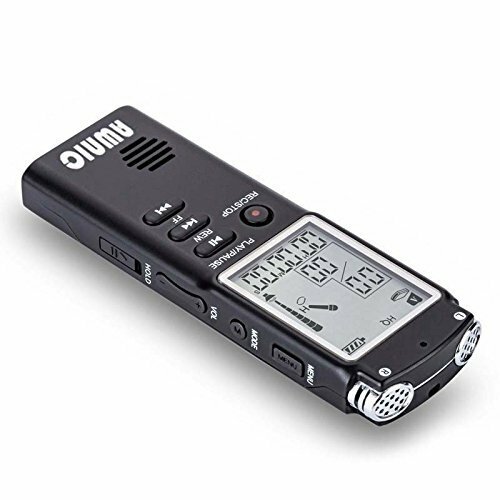 Attention:Push power on when the recorder is charging. AUTO SAVE RECORDING:Please press REC button to record the voice, and it will automatically save the recording when you press STOP button.